Latin for 'extended, or opened'. Chisocheton apoensis Elmer ex Merr. Chisocheton divergens var. genuinus Valet. Chisocheton divergens var. minor Valet. Chisocheton divergens var. robustus Valet. Chisocheton fragrans Hiern in Hook.f. Chisocheton glomeratus Hiern in Hook.f. Chisocheton holocalyx Hiern in Hook.f. Chisocheton tetrapetalus (Turcz.) C.DC. in DC. Chisocheton urdanetensis Elmer ex Merr. Chisocheton vrieseanus C.DC. in DC. Dysoxylum kanehirai (Sasaki) Kaneh. & Hatus. Melia pendula Reinw. ex Miq. Trichilia hexandra Blume ex Miq. Upper canopy tree up to 43 m tall and 73 cm dbh. Stipules absent. 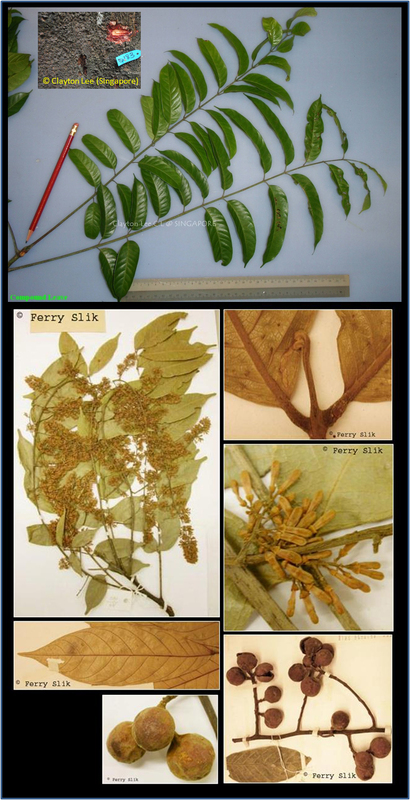 Leaves alternate, paripinnate, not pseudogemmulate, compound, leaf tips continuing to grow indeterminately, leaflets penni-veined, up to 28 by 10.5 cm, glabrous to hairy below. Flowers ca. 5 mm diameter, white-yellow, placed in panicles. Fruits ca. 24 mm diameter, red, capsules. Seeds with aril. In undisturbed mixed dipterocarp forests up to 500 m altitude, however, seems to prefer open places. On hillsides and ridges, but also common along rivers. On sandy to clay soils, but also on limestone. The wood is locally used in house building. Peninsular Thailand, Peninsular Malaysia, Sumatra, Java, Borneo, Philippines, Celebes.